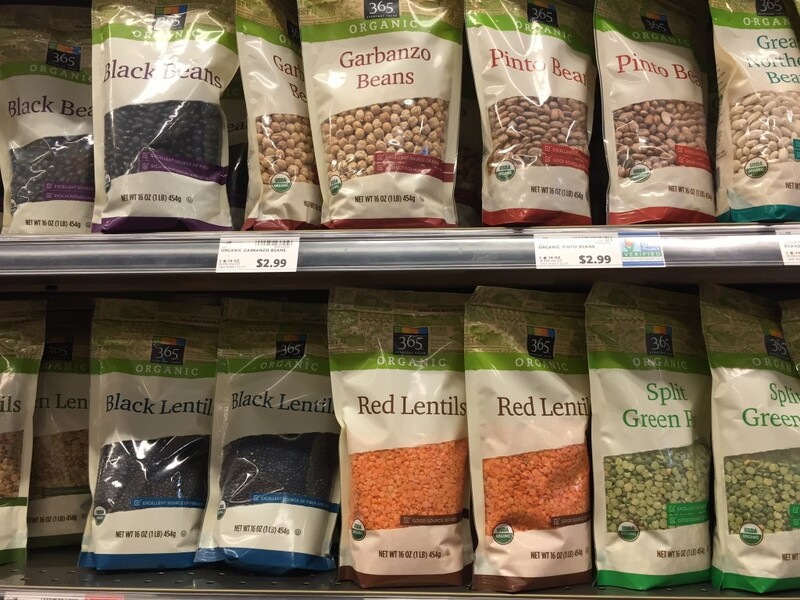 Some popular fad diets say that lentils and other legumes shouldn’t be eaten. Lentils are largely made up of carbohydrates, and carbohydrates have gotten a bad rap these days. That’s because many diet authors and others fail to differentiate between the variety of carbohydrates and their effects, missing the finer details of what current research is actually showing about them. Even though popular diet info doesn’t make it easy to feel confident in choosing healthy foods, it’s important that you can decide for yourself what’s good and what’s not so good for you to eat. Read on for my help in understanding the current research on carbohydrates and the benefits of lentils. 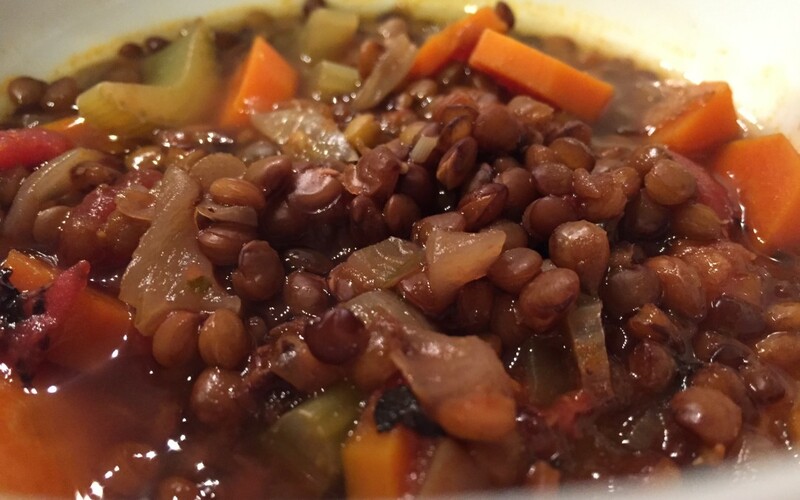 Then scroll down to get my favorite lentil soup recipe. It’s awesome! Simple, processed carbohydrates are currently under investigation for increasing the risk of cardiovascular disease, diabetes, and other illness (1,2). It seems that the more simple, processed carbohydrates we eat, the more we may be putting ourselves at risk. Plant carbohydrates are not under fire. On the contrary plant carbohydrates (fruits, vegetables and grains in their whole form) have the opposite effect of processed carbohydrates when it comes to blood sugar, heart disease and others (1). The plants that we eat have a variety of carbohydrates both simple and complex, and most plants come with the complex carbohydrate called dietary fiber. 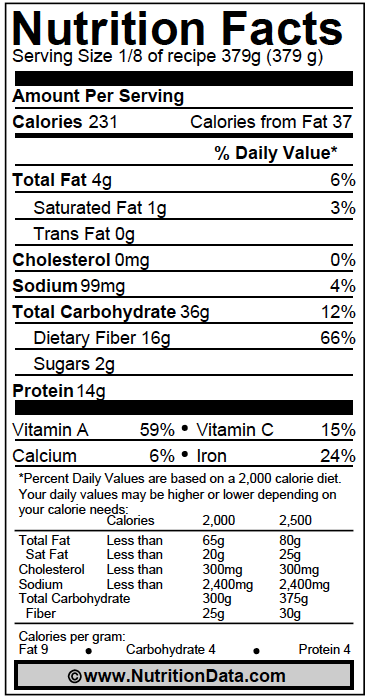 A few important things to note about dietary fiber: 1.) Not much of it absorbs in your digestive system, so the calories you get from it is much less than what’s listed on its nutrition information; 2.) It helps your digestive system to clean itself out and stay regular; 3.) It increases the weight of your meal and keeps you feeling fuller for a longer period of time (3,4,5,6). When you get your dietary fiber from whole plant food it comes with a host of other, incredibly nutritious ingredients like phytochemicals, polyphenols, antioxidants, vitamins and minerals that you don’t get when you eat fiber that’s been created in a factory. Dietary fiber has been shown to reduce the risk of cardiovascular disease, type 2 diabetes, and some cancers, and has been associated with lower body weight (3,7,8,9). The recommended intake of dietary fiber is 20-38 grams per day, but Americans consume only 12-17 grams per day on average, with only 5% of the population meeting the requirement (3). With the many problems we have today that stem from a mis-proportioned diet, one thing we can afford to do is eat more dietary fiber from natural sources. Lentils are one of the few foods that contain soluble fiber. Control blood sugar because the movement of carbohydrates into your blood is slowed. Lower blood cholesterol, and triglycerides because it attracts bile and pulls it out of your intestine, causing your liver to need to pull cholesterol from your blood in order to make more bile (4). Feel fuller longer, because it slows the movement of food through your intestinal tract. Be fueled longer because it slows the absorption of nutrients into your blood. Along with lentils, other foods containing significant amounts of soluble fiber are: other legumes (kidney beans, chick peas, green peas), whole grain oats, barley, carrots, nuts, seeds, and citrus fruits. If you’re looking to lose weight, a bowl of this soup will give you a big bang for your calorie buck. Because of its healthy dose of soluble fiber, this soup fills you up so much with only 231 calories per serving. Lentils are high in protein too. One cup of lentils offers 36% of the daily recommended intake of protein. They’re also a great source of Iron, phosporous, copper, folate, manganese, and they contain B-vitamins and zinc (10). I serve the soup with a lean protein on the side. (Lamb is an excellent accompaniment, but chicken or fish is also good.) Sometimes I add more carbohydrate like a serving of pasta based on my calorie needs and athletic schedule. In the winter, soups are one of my favorite go-to meals. A pot of soup lasts for days and saves time in meal preparation. Soup also offers a comforting warmth and satisfaction that’s much needed when it’s cold outside. I make this and my chicken soup recipe on a weekly basis in the winter. It’s easy and delicious. 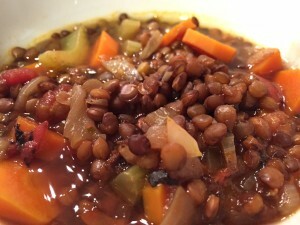 Try this lentil soup and let me know what you think! Chop onion, carrots, celery (about 3 minutes). Heat oil over medium heat in a medium pan. Add onions, carrots, and celery; cook and stir until the onion is soft (about 5 minutes) Stir in garlic, bay leaf, oregano, and basil; cook for about 2 minutes. Stir in lentils, add water and tomatoes. Bring to a boil and then set to simmer until the lentils have softened (40-45 minutes). If too much water has boiled out, add some more. A dash (not much) of salt on the soup while it’s cooking will bring out the flavor. I prefer the lentils to be slightly crunchy when done. Brown and green lentils stay more crunchy than black and orange ones. 1.) Saturated Fats Versus Polyunsaturated Fats Versus Carbohydrates for Cardiovascular Disease Prevention and Treatment. Siri-Tarino, Patty W., Sally Chiu, Nathalie Bergeron, and Ronald M. Krauss. Annual Review of Nutrition 35 (2015): 517-543. 4.) Nutrition Today. Evidence-Based Approach to Fiber Supplements and Clinically Meaningful Health Benefits, Part I. Volume 50, Number 2, March/April 2015.